While searching for music to accompany a planned Peanuts television documentary, Lee Mendelson (the producer of the special) heard a single version of "Cast Your Fate to the Wind" by Guaraldi's trio on the radio while traveling in a taxicab. Mendelson contacted Ralph J. Gleason, jazz columnist for the San Francisco Chronicle, and was put in touch with Guaraldi. He proposed that Guaraldi score the upcoming Peanuts Christmas special, and Guaraldi enthusiastically took the job, performing a version of what became "Linus and Lucy" over the phone two weeks later. 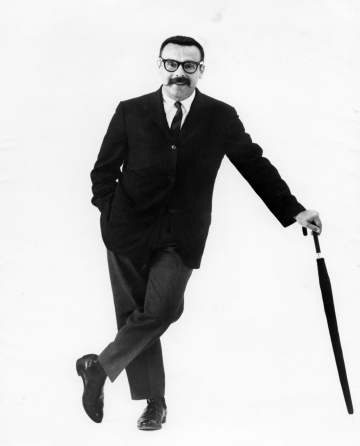 The soundtrack was recorded by the Vince Guaraldi Trio, with drummer Jerry Granelli and bassist Fred Marshall. Guaraldi went on to compose scores for seventeen Peanuts television specials, as well as the 1969 feature film A Boy Named Charlie Brown and the unaired television program of the same name. Somebody said to me: I can't understand a word you said." Said: " 99% of non smokers die"
Legend has it that funkadelic's "Maggot Brain," the 10-minute solo that turned the late Eddie Hazel into an instant guitar icon, was born when George Clinton told him to imagine hearing his mother just died – and then learning that she was, in fact, alive. Hazel, who died of liver failure in 1992 at age 42, brought a thrilling mix of lysergic vision and groove power to all of his work, inspiring followers like J Mascis, Mike McCready and Lenny Kravitz. "That solo – Lord have mercy!" says Kravitz of "Maggot Brain." "He was absolutely stunning." Richard David James (born 18 August 1971), best known by his recording alias Aphex Twin, is a Cornish electronic musician, known for his influential and idiosyncratic work in styles such as ambient techno and IDM in the 1990s, for which he received widespread critical acclaim. He is also the co-founder of Rephlex Records with Grant Wilson-Claridge. Initially releasing acid techno music under aliases such as AFX and Polygon Window, James first received widespread acclaim for his 1992 album Selected Ambient Works 85-92. He rose to mainstream popularity with his 1997 EP Come to Daddy and his 1999 single "Windowlicker". After a period of relative inactivity under the moniker following his 2001 album Drukqs, James returned in 2014 with a new album titled Syro, which won him a Grammy Award for Best Dance/Electronic Album. Uncle Acid & the Deadbeats (written as Uncle Acid and the deadbeats or simply Uncle Acid) are an English rock band, formed in Cambridge by Kevin Starrs. The band have released four albums and a number of singles. They have appeared at a number of festivals around Europe.The band's music is heavily influenced by the late 1960s when heavy metal was emerging. 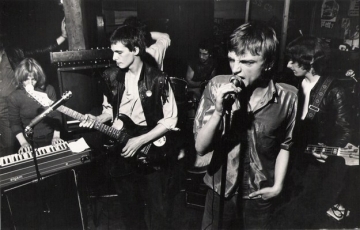 All music praised the band's ability to recreate a particular aspect of this era, describing the band as "celebrating the Summer of Love's soul-chilling autumn: a blasted landscape, post-flower power, resembling Altamont's killing fields, reeking of the Manson Family murders, and, naturally, sounding like a mish-mash of all of the apocalyptic musical forces that converged upon that era. Rock band from The Netherlands. Formed in Amsterdam in 2001 when the band, then called Redivider, lost their keyboard player. They decided to carry on and changed their name into Alamo Race Track.